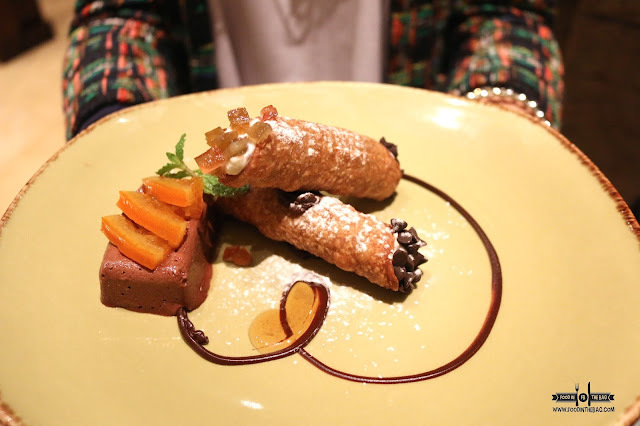 If there was one part of a meal that everyone likes to have, it would be dessert. Sweet endings is the why we eat. At DISCOVERY PRIMEA'S TAPENADE, it seems they want you to have a journey. As their guest, you would appreciate the experience because it is worth it. Going through the starters, the mains and finally, the dessert would make one appreciate everything. It starts with the talk. The stories and the rumors that your friends and loved ones told you about TAPENADE is true. They are tremendously right. 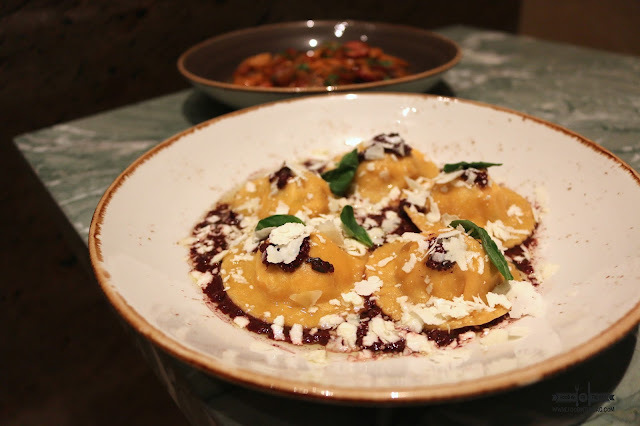 DISCOVERY PRIMEA has transformed TAPENADE into a dining destination like no other. Simple, sweet and straight to the point. They created the "SALAD ROOM" that serves more than just green leafy vegetables. Aside from fresh produce and prepared concoctions, they also have different kinds of cheese, bread, seafood, and even meat. Yes with just this you would have called it a day but TAPENADE is not yet done with you. 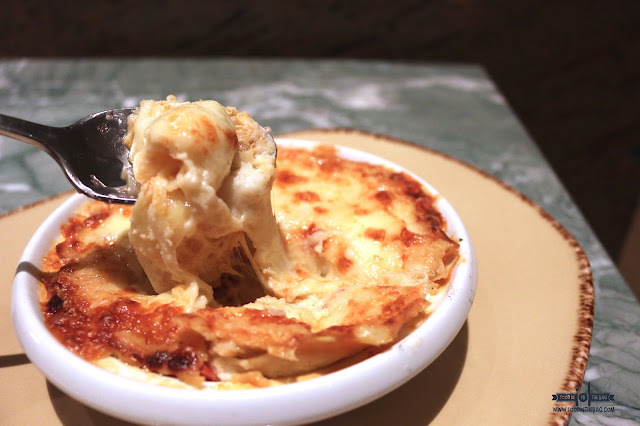 They want you to be full and jolly so they created new dishes that would entice you to go back for more. And here, your sense of sight, smell and taste works overtime as the flavors keeps on rushing you. To whet the appetite, TAPENADE would suggest that you try the SETAS CON JAMON and the CHISTORRA FRITA. 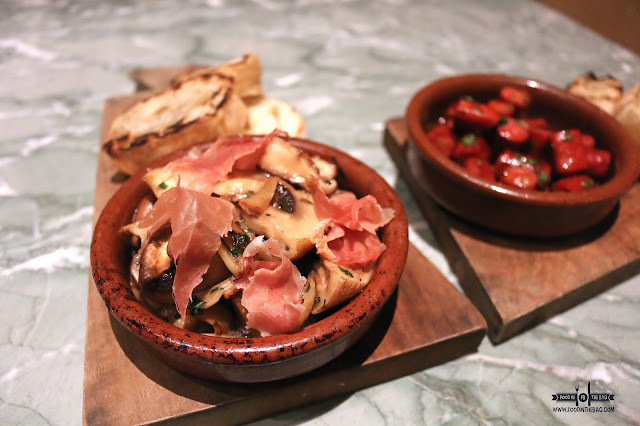 The smoked prosciutto is served with different mushrooms and herbs to give it a light yet salty flavor. The CHISTORRA FRITA, on the other hand, is a bit stronger in terms of taste. One bite and you realize that these Spanish sausages are salty and goes well with the grilled homemade ciabatta. If in case you and your dining companions are a bit old fashioned, the FRITTO MISTO and the CHICKEN WINGS "ALLA DIAVOLA" are both must try. 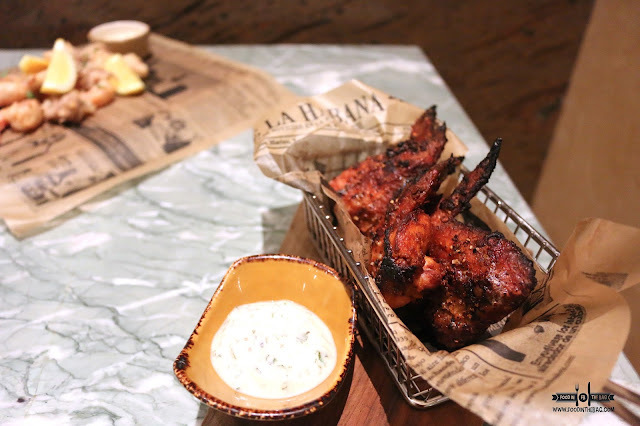 The wings are covered with different spices to give you an intense experience. Partnered with the mint yogurt, the chicken is tamed. 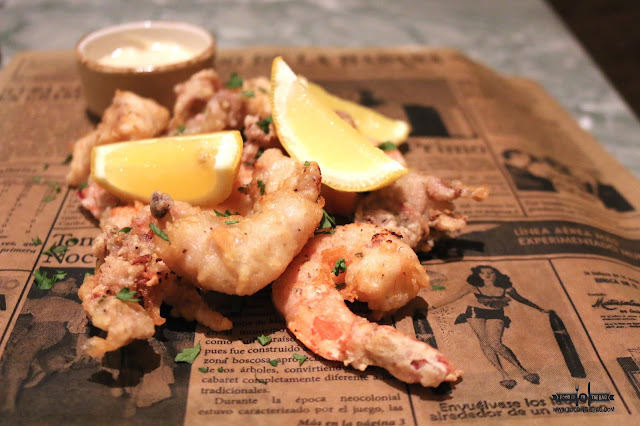 The squid, shrimp and the snapper of the FRITTO MISTO were fried perfectly. The batter used made sure that the natural flavor of the seafood is brought out. Delicious. When the next dish was placed on the table, there comes a realization that the everything compliments the SALAD ROOM. Greeted with a huge plate of CRAB MEAT LASAGNA, any bad day could be turned into something great. This is comfort food personafied. One scoop and you could see the creamy crab bisque and the light bechamel sauce playing with each other. Although it might be a bit heavy if you consume this all on your own, you won't regret getting this. 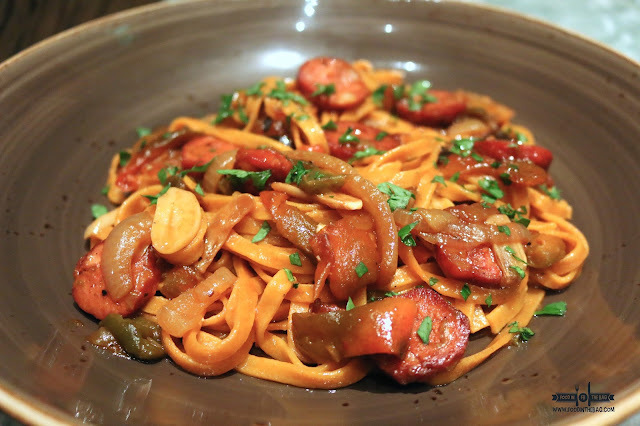 I do not know if it was the freshness of the ingredients or the way the pasta was cooked but the PIMENTON LINGUINE was light, properly seasoned and a joy to eat. PIMENTON is the Spanish word for paprika. There is a tendency for some dishes to be over seasoned. Here, it was not the case as the herbs and spices went well with the Spanish chorizo, bell peppers and the home made pasta. Another pasta dish that was incredibly good would be the GOAT CHEESE and SCALLION RAVIOLI. Even if the fillings included double smoked bacon, the saltiness of the dish was on point. One would expect that it might have gone overboard with the tapenade because of the anchovies and capers. Rather, the flavors were harmonious. Pizza is a strong suit for TAPENADE. A mixture of different types of dough to make the perfect crust is a trademark of TAPENADE. Not too chewy nor too crisp, the texture is right there in the middle. The VONGOLE ALL'OREGANATA is something unique as clams were used alongside different herbs to give it a different seafood feel. The TRUFFLE & SAGE was a welcomed surprise. When truffle is mentioned, other restaurants would be drowning their dishes with it. Here, the proper balance was sought out. Nothing was being covered up. 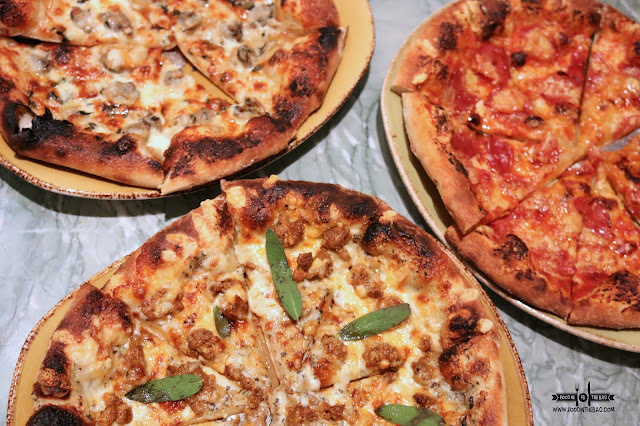 A crowd favorite, the PIZZANTE DOLCE or the sweet and spicy pizza would give you a treat. Spicy salami was partnered withe provolone cheese and honey. Making contrasting flavors work hand in hand. The skill of CHEF LUIS was masterfully demonstrated with the new mains. 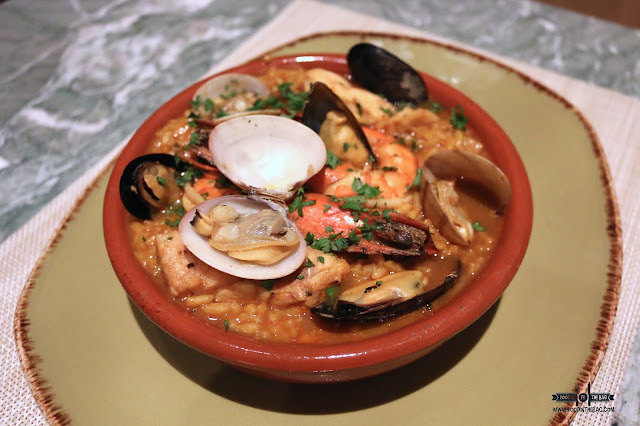 The SEAFOOD ARROZA CALDOSO is a brothy Spanish rice. Snapper, shrimps and clams were added to the saffron-shellfish essence. 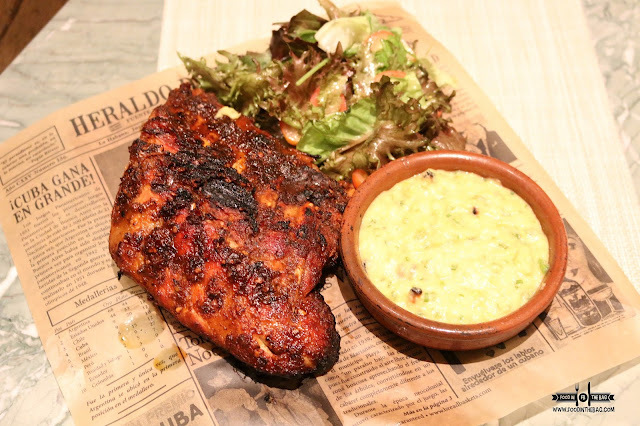 Definitely for sharing, the WHOLE ROASTED FREE-RANGE CHICKEN and the US BABY BACK RIBS would be the toast of any dinner. 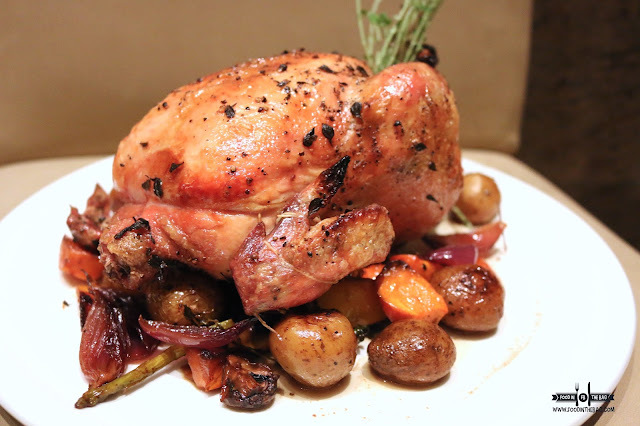 The chicken is marinated delightfully and cooked with mushrooms, asparagus, carrots and lemon-thyme jus. The meat is moist as it should be, while the skin absorbed all the flavors as well. Meat lovers would rejoice with the BABY BACK RIBS. A sweet and spicy calabrian glaze was used to give it a different type of rib flavor. The meat was fall off the bones. That tender. The grilled corn and scallion risotto gave a sweet touch to this spice filled dish. And the main goal of the meal, thus arrived. The dessert. New sweet dishes were brought out that give patrons more choices to pick from. Aside from the amazing CANNOLI, the BUTTERSCHOTCH BUDINO was the crowd favorite. 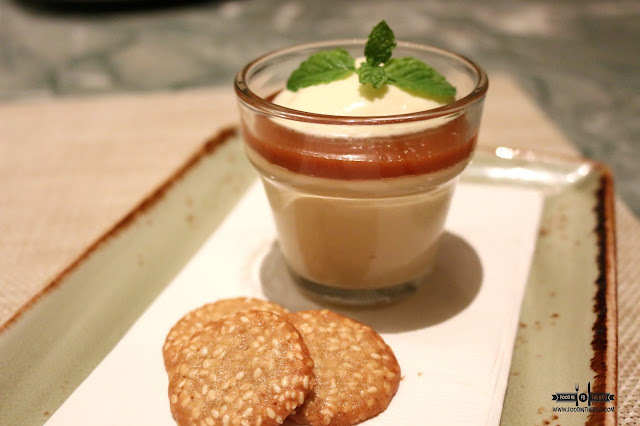 A salted caramel pudding was covered with light whipped cream. For cake lovers, TAPENADE has the ORANGE and ALMOND CAKE. 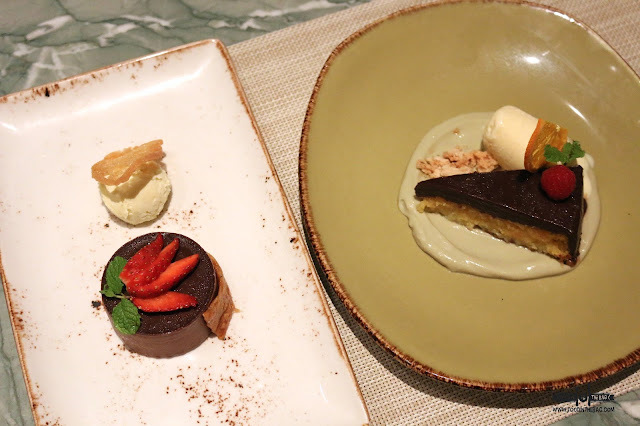 Moist and screaming with chocolate glaze, the pistachio cream accompanies the vanilla gelato. Chocolate would be proud with the BITTERSWEET TARTUFO. It had olive oil gelato and cripy bread chips to give it a bit of swirl in terms of flavor and texture. It was a journey worth doing over and over again. Everything came together. The ambiance, the service and more importantly, the food. 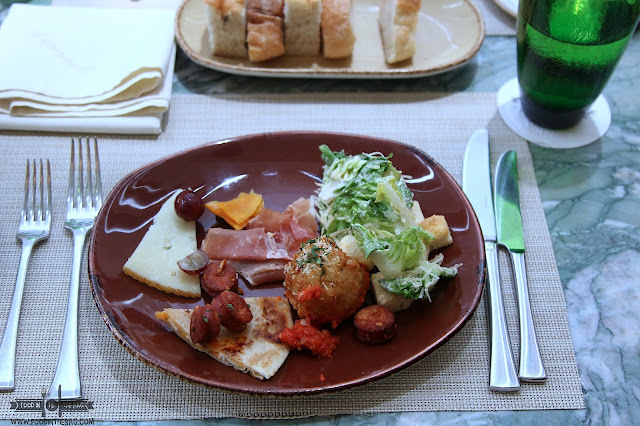 The new dishes would definitely compliment the old and of course the famous salad room. 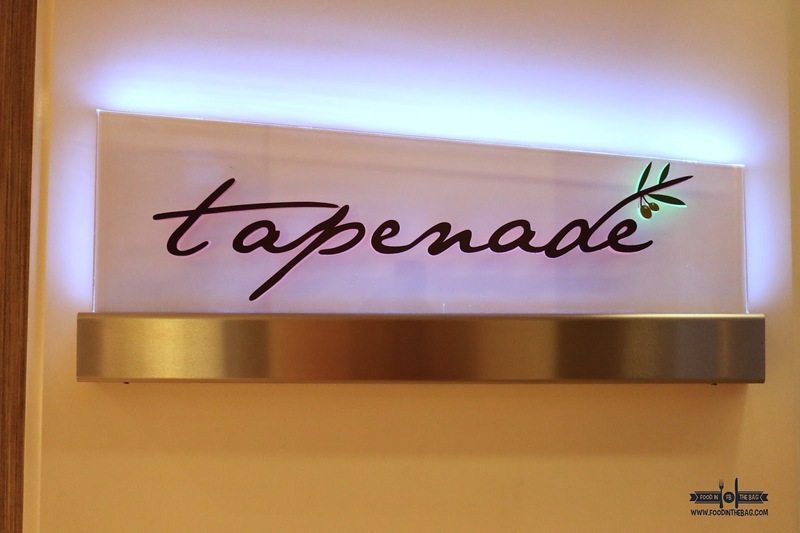 "It's Throwback Thursdays at TAPENADE. 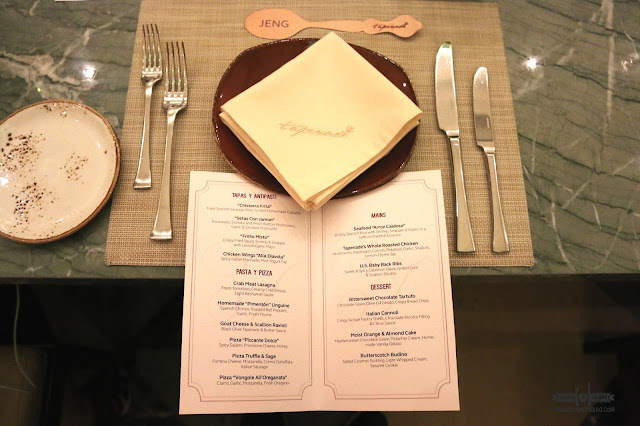 The Salad Room shall be pegged at its original price of Php 620 ++." Disclaimer: Wrote this based on my experience. Was invited to try out the new dishes from our friends from Discovery Primea.